Home / News / YEE News / Call for Project Partners! 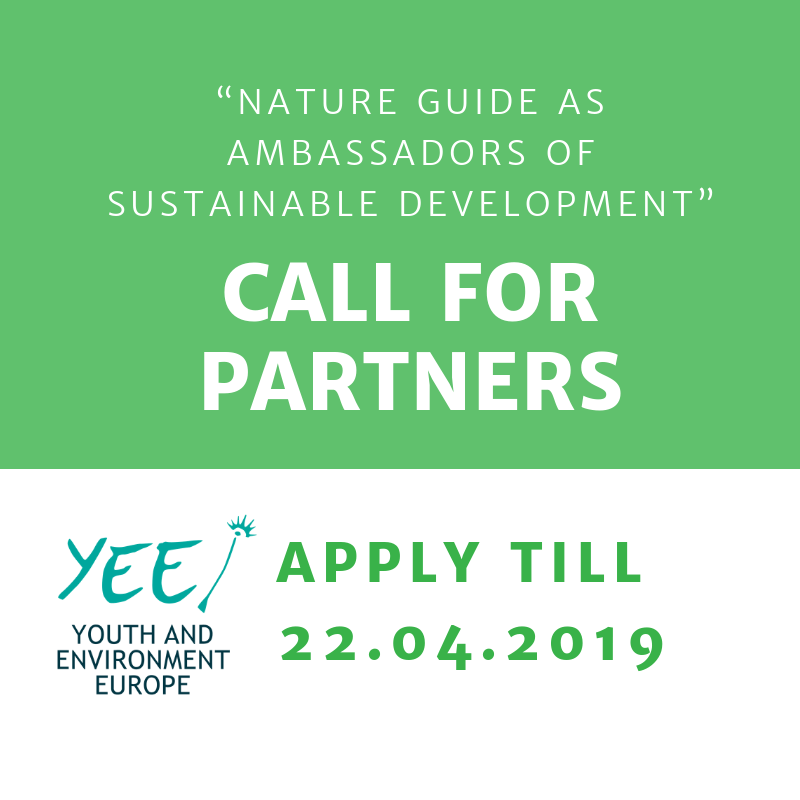 For the Erasmus + April Deadline, YEE is applying for a training course (TC) “Nature Guide as ambassadors of sustainable development”, in collaboration with EDEN center that will take place in September 2019 in Albania. The aim of the project is: Contribute to the environmental sustainability by promoting and raising young people’s capacities as nature guides. If you are interested in being partners for this project, fill in this form by 22nd of April 2019.